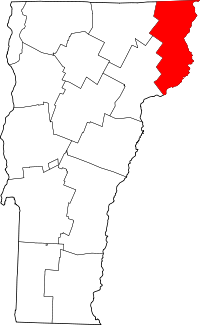 Essex County has its county seat in the shire town of Guildhall. Essex County vital records can be obtained from the Guildhall town clerk in person, by phone (telephone 802-676-3797; fax 802-676-3518) or by email (townclerk@guildhallvt.org). Essex and Grand Isle counties are the least populous in the state, and thus Essex office hours are limited, on only two days a week: Tuesdays 9 am to 6 pm and Thursdays 9 am to noon and 5 to 7 pm. Divorce records are obtained from the clerk of the court where the divorce was granted.